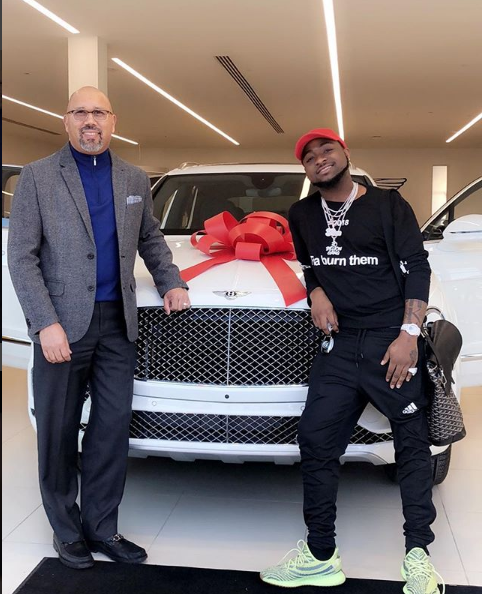 Afro pop star Davido who is currently chilling in Atlanta, USA has shared on Instagram his new ride, a 2018 Bentley Bentayga. It must have cost a fortune. 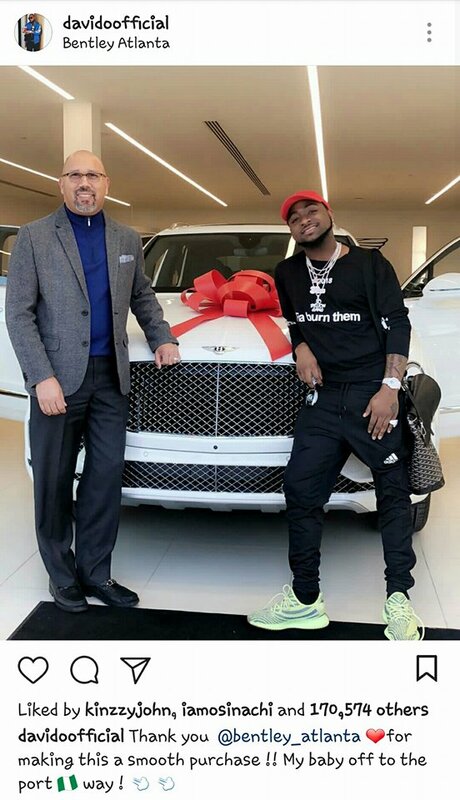 According to the singer, the car is on the way coming to Nigeria.